- It stands upon a solid wood base. - Total height is 6.5 inches. With the assistance of our team of professionals, we are presenting a wide array of TG – 2491302 to our valuable clients. Our product range is fabricated from premium quality raw material that is procured from our reliable vendors. Further, these products are tested on various parameters to ensure a flawless range. This glob book end mad bye full brass or wooden. 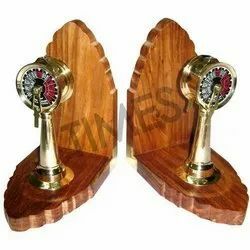 Its very premium quality telegraphs with globe. 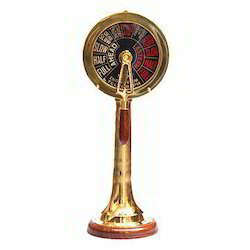 We are leading manufacturer of Antique Brass Telescope.